The 3rd Annual Niagara Falls Music and Art Festival will be held this weekend, and this year's event is sure to be unforgettable. 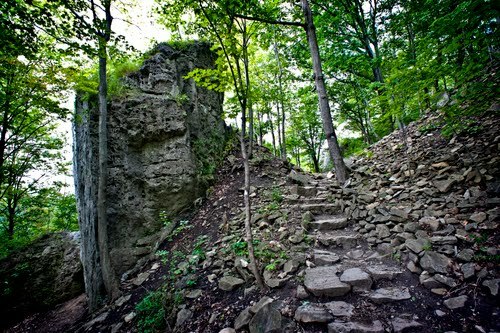 The festival will be held on Old Falls St in Downtown Niagara Falls, New York, walking distance from the Red Coach Inn. This three-day festival runs Friday, 4:00 pm to 10:00 pm, Saturday, 11:00 am - 11:00 pm, and Sunday, 11:00 am - 11:00 pm. 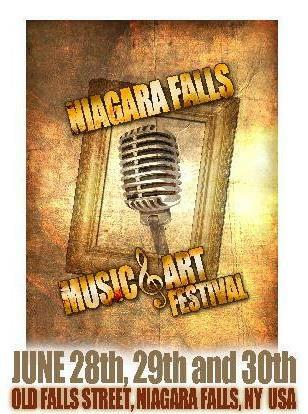 For more information on the Niagara Falls Music and Art Festival CLICK HERE. Summer is officially here and the outside activities are in full force this week! 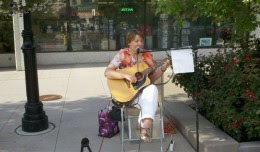 From outside concerts to art and crafts festivals it's a great week to get outside and enjoy the warm, sunny weather. 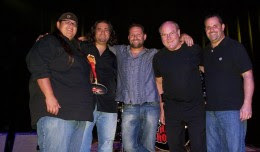 Hailed as one of the "most important bands in music since the dawn of the rock and roll era" by former President Bill Clinton, the legendary rock and roll back with horns, Chicago will be performing at this week's Tuesday in the Park at Artpark. Gates open at 4:30 pm and the show starts at 6:30. Chicago is the first American rock band to chart Top 40 albums in six different decades, so you won't want to miss this week's concert! For more information CLICK HERE. Come out and see the band Dispatch on Wednesday at Artpark. 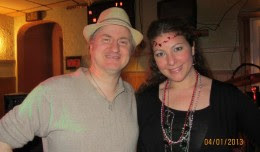 Brad Corrigan, one of the band's three singers, says, "We've been called the biggest band nobody's ever heard of. People either know everything about us or they know nothing. There never seems to be middle ground." So whether you know every song or are looking for something new to listen to head to Artpark on Wednesday at 6:30 pm to listen to Dispatch. For tickets and more information CLICK HERE. The Niagara Falls Music and Art Festival is the highpoint of the year for dozens of artists in Western New York, Southern Ontario, Western Pennsylvania, and North Eastern Ohio. For the first time ever, we are in an exciting and dynamic new location: the beautifully renovated Old Falls Street, walking distance from the Red Coach Inn! Encompassing three cobblestone blocks between Seneca Niagara Casino, the Niagara Culinary Institute and the New York State Park the art festival is sure to be full of fun events and amazing artists. 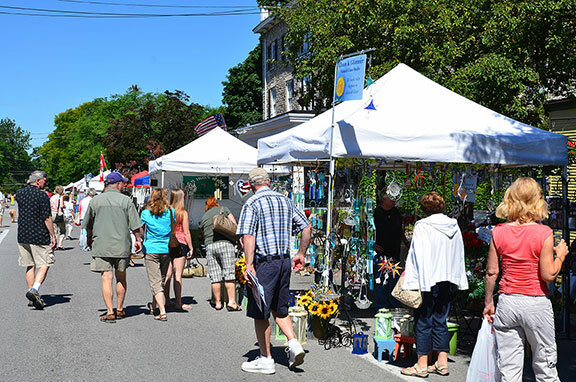 Over 200 Arts and Craft vendors from all over the state will be attending this year's 38th Annual Lockport Outdoor Arts and Crafts Festival. From 11:00 am to 5:00 pm on June 29th and 30th there will be not only art vendors but food truck vendors and live entertainment. Festival is located on Main Street in downtown Lockport between Cottage and Washbunr Streets. Parking and admission are free. More information CLICK HERE. Here at the Red Coach Inn we have a remarkable staff, some that have been with us for over a decade! Each member of our team strives to ensure every guest has an exceptional stay. During your time at the Red Coach Inn we hope you get the chance to meet as many of our staff members as possible, but just in case you missed someone, we're going to give you the opportunity to meet a new staff member each month in our Blog's Meet the Staff post! 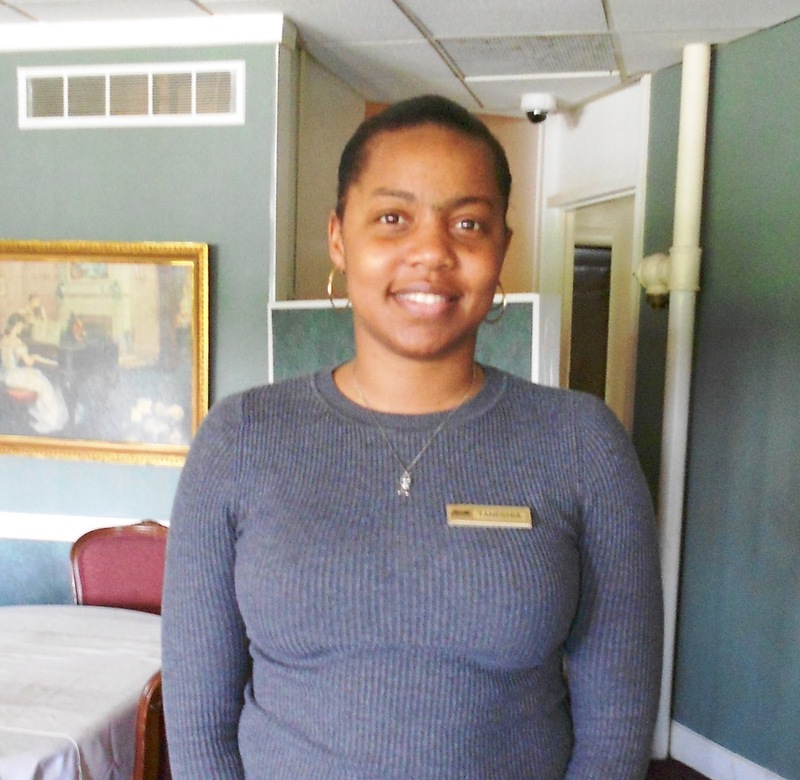 This week's featured staff member is Taneshia Jones our Front Desk Supervisor. Taneshia has been with us since October 2007 and she is most likely the first face you see when you walk into the Red Coach Inn. Taneshia leads our Front Desk, and among her many responsibilities at the hotel Taneshia oversees the reservations, check-in and check-out process. If you could travel anywhere in the world where would it be and why? : Alaska, to experience night most of the day. This week's Tuesday in the Park at Artpark will feature REO Speedwagon and special guest Nick Moss. REP Speedwagon is an American rock band formed in 1967. Over the course of their career, the band has sold more than 40 million records and has charted thirteen Top 40 hits, including "Keep On Loving You" and "Can't Fight This Feeling". See the band live on Tuesday night at 6:30 pm, gates open at 4:30 pm. General Admission: $10, Priority "Front of Stage" Tickets: $25. Purchase tickets HERE. Join Jennifer Pharr Davis, renowned hiker and recipient of the "National Geographic Adventurer of the Year" award, on a hike of the Niagara Gorge trail system. 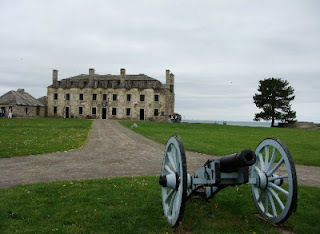 Enjoy taking in some scenic views and learn some of the history along the hike. Jennifer highly values the fact that hiking is for everyone, at every phase of their life, and values what you get from your experience. 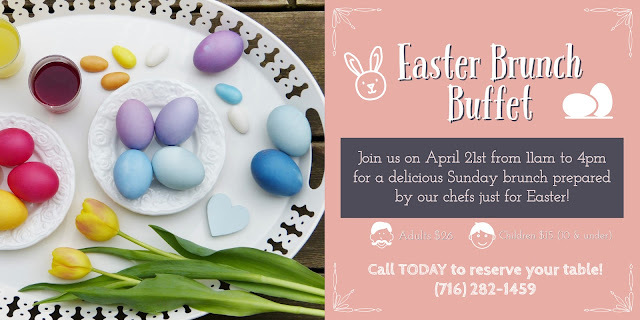 For information and registration call (716) 282-5154. Head over to Artpark this Wednesday to see MGMT, an American psychedelic rock band, perform at 6:30 pm. General Admission is $15 and Priority "Front of Stage" is $25. Gates open at 4:30pm. For more information CLICK HERE. Enjoy a summer carnival at the Aquarium! There's an ocean of discovery to experience at the Aquarium of Niagara. More than 1,500 aquatic animals live at the aquarium, representing ecosystems ranging from the Great Lakes to coral reefs. Highlights include over 40 exhibits starring California sea lions, Peruvian penguins, seahorses, sturgeon, and more. 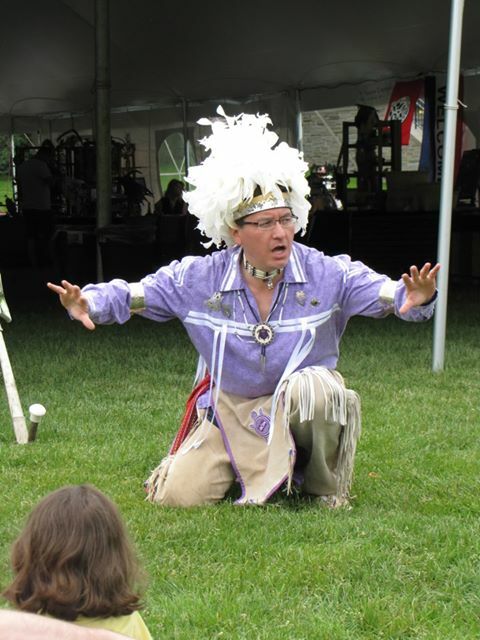 Native American Community Services will be holding its welcome to summer celebration on Goat Island at Niagara Falls State Park on June 22nd and 23rd. The free, family-friendly event will be held from 10:00 am to 6:00 pm each day. Activities will include: Haudenasaunee storytelling by Perry Ground. Ground is a Turtle Clan member of the Onondaga Nation who understands the importance of transmitting local knowledge and oral traditions to the next generations. Educating all people on the history, culture, and beliefs of the Iroquois is his life's work. Perry is a teacher and professional storyteller, who has learned many stories as well as storytelling styles. Visit the charming village of Lewiston for the 8th annual GardenFest. Vendor booths from area nurseries, landscapers, garden and outdoor suppliers line a portion of Center Street. Enter to win a prize for your favorite potted container of flowers to be judged by the public. Listen to a noted speaker each day. Meander through lovely gardens open to the public in the village area. Bring questions and soil samples to our Master Gardeners and floral experts. 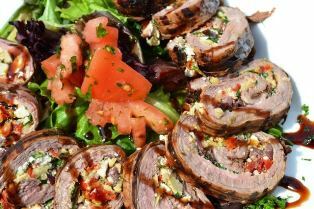 Enjoy the charming restaurants and natural beauty of the Lewiston area during your visit. All free. Maps provided at our hospitality booths as you enter the GardenFest. One of the extraordinary things about the Red Coach Inn is that every single room is different. Each room has unique decor and highlights special amenities. So to give you a better idea of what each room looks like and includes I will be doing a featured post on a specific room each month. 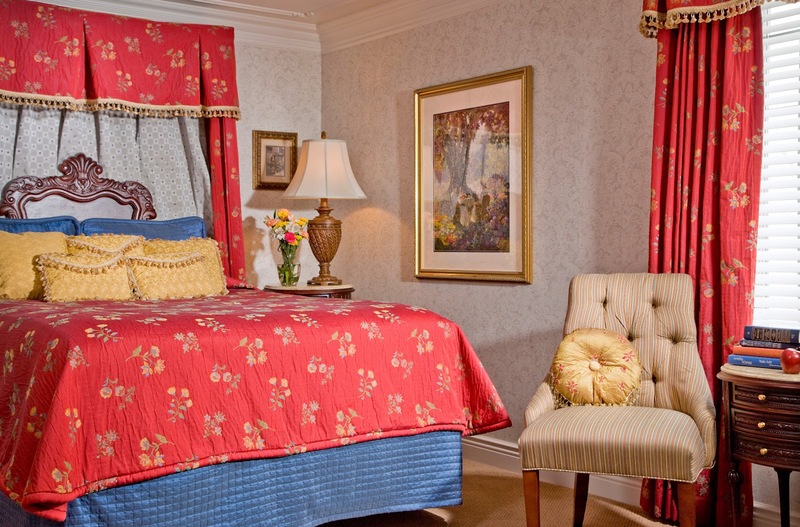 This month's featured room is the Victoria Suite! 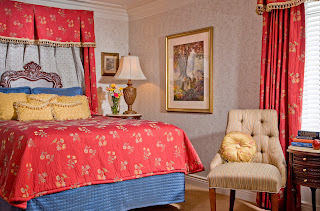 The Victoria is one of my favorite rooms at the Red Coach Inn. It has spectacular views of the upper rapids and has over 1,100 square feet of space. But the beautiful views, elegant decor, and apartment style layout are not the only reason I chose the Victoria Suite this week. The suite is rumored to be the setting of a honeymoon murder story! Although I cannot confirm, nor have the specific details of the ghost story, rumor has it in 1927, just four years after the Inn first opened, a man bludgeoned his new bride to death on their honeymoon night! Spooky! Although I have yet to experience any paranormal activity, I have heard guests share their experiences of abnormal temperature drops and creaky noises. Bernie Kopell, from TV's "The Loveboat," recalls his experiences on this week's episode of Celebrity Ghost Stories on the Biography Channel. Bernie shares seeing the ghost of a bride while working one night at the Red Coach Inn. You can watch a clip from the episode HERE. If you're brave enough to stay in this room it has a lot of great features. There are two bedrooms each with a queen size pillow-top mattress and flat screen televisions. 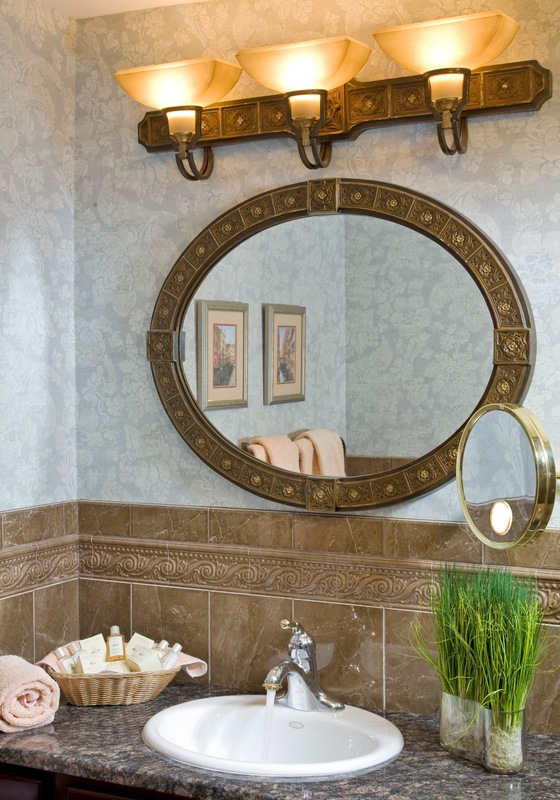 The room also has two bathrooms, one in the hallway and another in the master bedroom and both have jetted bath tubs. 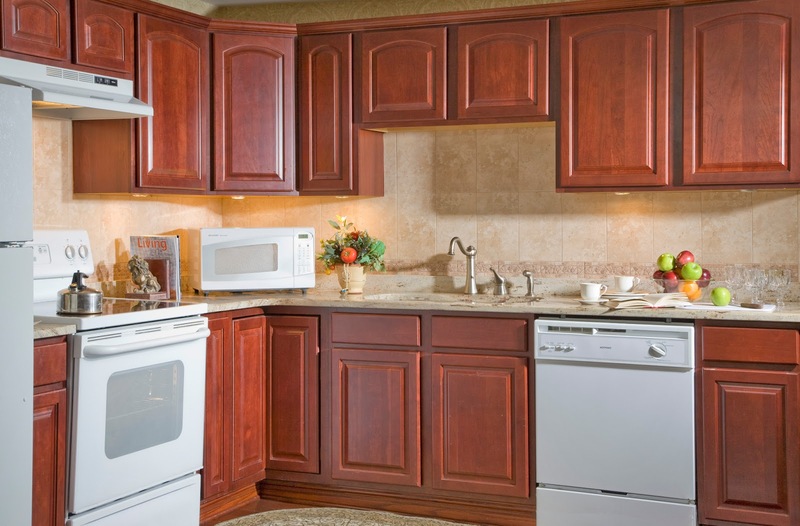 There is a full kitchen with stove, full-size refrigerator, dishes, cookware, dishwasher, microwave, and coffee pot. The Victoria Suite features a living room area with pull-out sofa bed and a separate dining area. The living room and dining room have a stunning view of the upper rapids and you can hear the roar of the thundering Falls. I particularly like this room because the dining room area is raised up from the living room area. I think it gives the room an elegant, traditional feel. There is also a curio cabinet in the dining room, that is full of antique china and serve ware. I love just taking in all the antique decorations and artwork throughout each common area and rooms. The room also highlights all of the Red Coach Inn amenities I enjoy; polyester robes, welcome amenity consisting of fruit, cheese, cracker tray, champagne, and a journal to share your vacation memories, and read the past guests' experiences. Have you started making your summer plans yet? Well if your in the Niagara Falls area this week check out these fun and exciting activities! From great concerts at Artpark to celebrating Father's Day at the Wine and Cheese Weekend you're sure to find something to get into! Joan Jett and the Blackhearts with special guest The Matt Facciolla Band will be the featured concert in this week's Tuesday in the Park and Artpark. Joan Jett is an originator, an innovator, and a visionary. As the leader of the hard-rocking Blackhearts, she's had eight platinum and gold albums and nine Top 40 singles, including the classics "Bad Reputation," "I Love Rock N' Roll," and "Crimson and Clover." The show starts at 6:30 pm and gates open at 4:30 pm. General Admission is $10 and priority "Front of Stage" Tickets are $25. For tickets CLICK HERE. This Wednesday Coors Light presents Gov't Mule at the Artpark Outdoor Amphitheater. As one of rock's foremost MVP singer-guitarists, Warren Haynes has been constantly on the move and in the spot light for the past two decades. During that time Haynes has maintained his tenure in Gov't Mule, the Allman Brothers Band and the Dead. 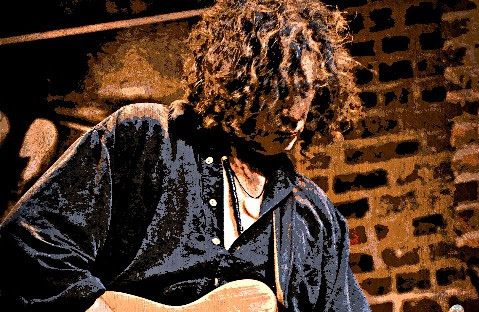 See Haynes perform live Wednesday at 6:30 pm, gates open at 4:30 pm. General Admission is $10 and priority "Front of Stage" Tickets are $25. For tickets CLICK HERE. The Niagara Falls Culinary Institute is located on Old Falls Street in the heart of downtown and just steps from the beautiful Niagara Falls. Visit the Wine Boutique at the Culinary Institute this Thursday from 4:00 pm to 5:00 pm for free wine tastings. For more information CLICK HERE. Celebrate National Dairy Month with Dad's favorite wine & cheese this weekend! Tickets are valid for all three days of the event and include a tasting of 3 wines and cheese sample at each participating winery, and a commemorative wine glass from your starting winery. For a full list of all the wineries CLICK HERE. Tickets do not include transportation. A valid photo ID with proof of age is required to participate in wine tastings. The Red Coach Inn first opened it's doors in 1923 and in the 80 years the hotel has been opened it has helped many guests create great memories, experiences, and stories! One of the Inn's most unique and scary stories will be shared tonight on the Biography Channel's Celebrity Ghost Stories. Hear first hand from Bernie Kopell, best known for TV's "The Loveboat", his story of being accosted by the ghost of a woman at the Red Coach Inn. Watch the episode tonight, Saturday June 8th, at 8:00 pm EDT and again on June 9th at 12:00 am EDT on the Biography Channel. For a preview of tonight's episode CLICK HERE. Don't miss the Tour of Kitchens this weekend! Do you have plans this weekend? I would highly recommend checking out the Lewiston Region Tour of Kitchens. Get an up close and personal look inside of six of the area's most fabulous homes and entertaining spaces. 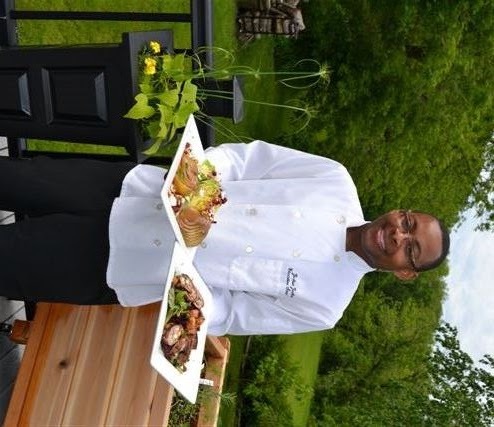 Each home will be paired with a restaurant and chef who will prepare you a sampling of their signature dish. 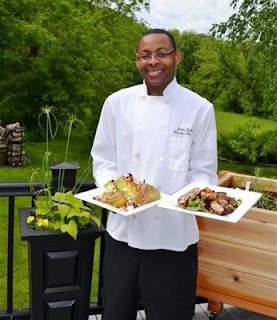 Among these incredible chefs, is Executive Sous Chef, Josh Jackson, from the Red Coach Inn. 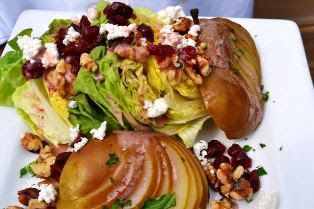 Josh is preparing one of my absolute favorite Red Coach dishes, the Pear Salad, a Riesling poached pear, goat cheese, candied walnuts and cranberries, wrapped is leaf of Boston lettuce served with a maple fig dressings. It's a mouth-watering salad and I'm delighted to see it on the Tour of Kitchen's menu! Josh will also be preparing a Mediterranean Flank Steak served over phyllo cup filled with feta cheese, sun-dried tomatoes, artichoke hearts, black olives, and spinach. CLICK HERE to see all the dishes being prepared on the Tour of Kitchens. The tour itself will take about 3 hours to complete. It's a self-guided tour, so you can see the homes in any order that you wish. I suggest you stop and enjoy some dessert and wine tastings along the way. It's a great way to try some local wines and it helps to avoid bottlenecks at the end. It's a busy week here at the Red Coach Inn! The warm sunny weather is here and it feels great to be outside! We are excited to be participating in the annual Lewiston Region's Tour of Kitchens this week and we hope you are able to come out and try some of our award-winning food! 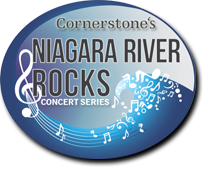 The hottest summer concert series in Western New York is back with an added non-smoking area, a 3rd Jumbotron video screen and enhanced sound reinforcement! All performances start at 6:30 pm in the Outdoor Amphitheater. For a map of Artpark CLICK HERE. Gates open at 4:30 pm. Advance General Admission: $10 ($15 when purchased the week of the event). 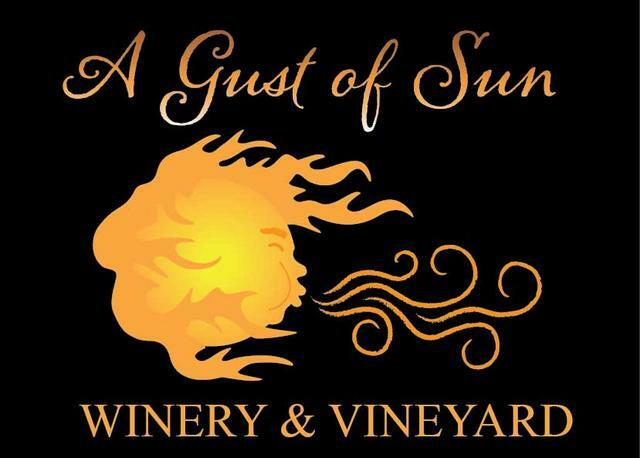 Visit A Gust of Sun Winery & Vineyard and enjoy arts and crafts vendors in the tasting room! For more information CLICK HERE. Get an up close and personal look inside six of the area's most fabulous homes and entertaining spaces located in the Lewiston and Youngstown Region. Each home is paired with a local restaurant including the the Red Coach Inn! Our chef will prepare you a sampling of our delectable signature dishes. The Tour of Kitchens in an inspiring opportunity for anyone looking to renovate, rejuvenate, or simply dream about fabulous entertaining spaces. Tickets are $27 and area available online. For more information CLICK HERE. Reenactors portraying soldiers from the Civil War garrison Old Fort Niagara to commemorate the 150th anniversary of the beginning of construction of brick casemates and revetments at the site. There will be special programs throughout the day, so make sure you don't miss out on this once a year event! For more information CLICK HERE. This whimsical outdoor festival is held annually in the Lower Park of Artpark from 12:00 pm to 5:00pm. View over 100 tiny fairy house creations throughout the gardens and green spaces of Artpark. Built by local school groups, scout troops, community organizations and families the fairy houses on the tour will be juried and 3 prizes will be awarded by 1:00 pm on the day of the event. Families may partake in a variety of creative "make and take" art activities at the Fairy House Festival! Make your own wings, crowns, wizard hats and wands; potion lab; silk screen your own take home t-shirt; fairy or gnome figurines. Tickets are $5 in advance and $6 at the Festival. To purchase tickets CLICK HERE. 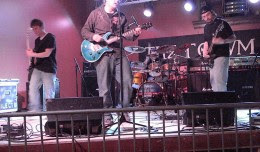 Get ready for a great summer of Rock Concerts! Primus will be playing this Sunday at Gratwick Riverside Park. Gates open at 5:00 pm and tickets are FREE. A $5 charge for parking will be assessed.